The age-old dilemma of what to have for dinner. After a busy day at work, or wrangling children, often the last thing you want to have to think about is what’s for dinner. It can be even more challenging if you are catering to different palates and family members needing to eat at different times. What is the best way to manage this? It always comes back to planning ahead. It really is the 101 of making healthy eating work for you. Yes, it does take a bit of time and thought, but clients who meal plan generally find it takes pressure off them later in the week. It might take 20 minutes at the weekend to sketch out evening meals for the week ahead, but if you do that and then shop accordingly, you can avoid both stress and food wastage later in the week. If you are looking for inspiration go to your favourite recipe sites and jot down ideas. If time is short, keep meals simple. Work out which protein you are going to use, then what veggies or side dishes you are going to add and how much time you need to prepare and cook the meal. Can someone else in the household help with the prep? Can you put a whole chicken or joint of meat in the slow cooker? Can you prep a casserole the night before and tip it into the slow cooker the next day? Can you make enough for leftovers the next day and maybe serve them with different veggies? If you always keep eggs and tinned fish on hand you can throw together a quick meal. Again, it takes planning, but it really does make life easier. A growing trend is to order in food bags and if your goal is weight loss, then I would recommend the Fresh Start bag from My Food Bag. It has more veggies and less complex carbs than the other bags. The supermarket end of aisles are groaning under the myriad choices of chocolate Easter goodies. From big eggs, bunnies, chocolate kiwis, hunting eggs and various chocolate combos, the choice is huge. Then there are the Easter buns. From the standard fruit ones, to non fruit ones, to chocolate ones, to brioche varieties and gluten free ones. The struggle to resist is real! My take on it? Quality over Quantity. 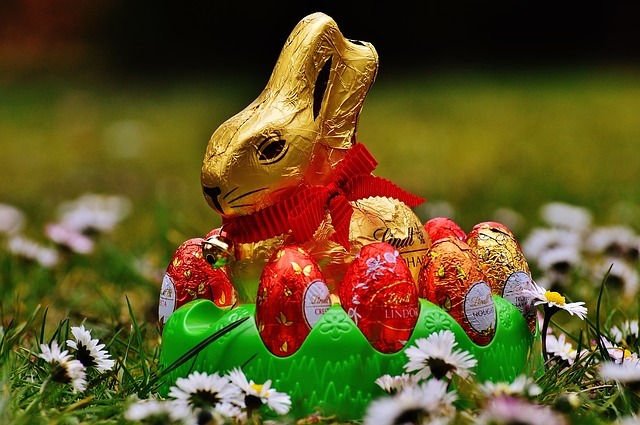 If you love a chocolate treat at Easter, consider buying a small, quality item. The Lindt bunnies are popular. Or if Hot X Buns are your thing, buy two quality ones from a bakery, rather than multiple bags of 6 buns because they are ‘value’. It is not value if you eat the lot! Swap out your usual breakfast one day over Easter and enjoy your buns instead, not in addition to!